(Updated: 28th June). Here are some more photos of Hope now that she has been varnished in preparation for public show. Meet ‘Hope’, our HeadStart Wolf for Wolves in Wolves! Wolves in Wolves (wolvesinwolves.co.uk) is the largest public art event ever to take place in the city. Thirty wolf sculptures, each designed individually by local organisations, will be placed on display around the city centre and in West Park. We were delighted to be asked to design a HeadStart wolf. 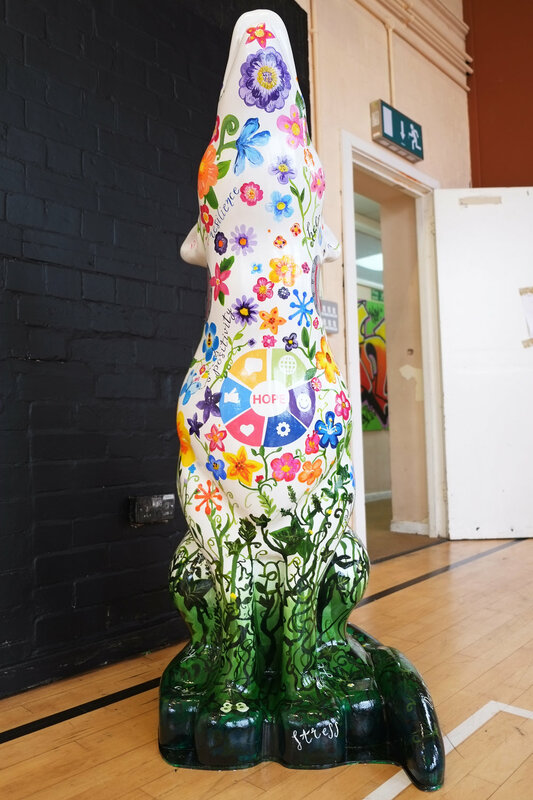 The design process came together by asking our HeadStart Ambassadors, our volunteer group of young people aged 16-25, their thoughts of what the wolf should look like. What should she represent? What should we include? They came up with several ideas but we decided on one idea that stood out for us. The initial concept for the design was an idea of a tree being the backbone and support of HeadStart. The tree symbolises the growth that HeadStart aims to give to young people and the flowers represent the help for young people to blossom. 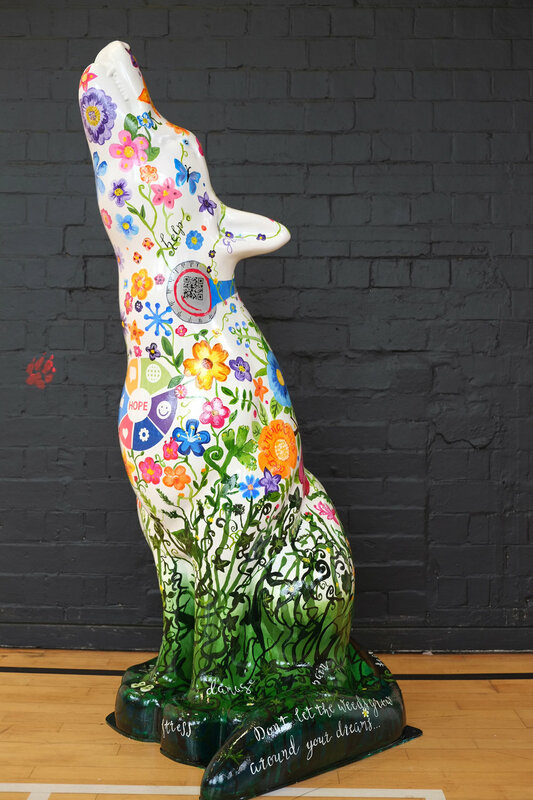 HeadStart colours are used to enhance the design with flowers covering the top of the wolf. Digital interactions are key elements of the HeadStart programme, so the ambassadors were keen to represent these on the design by adding headphones. The HeadStart and Big Lottery logos were added to the design along with a QR code to direct the public to the HeadStart website for more information. 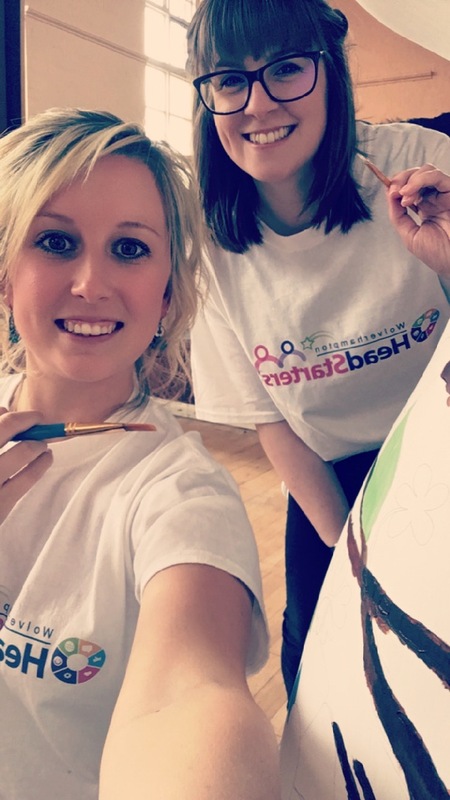 The HeadStart creative team of Alice Whyley and Emma Sayles then went on to develop the ambassador’s idea further to come up with a final concept to present. 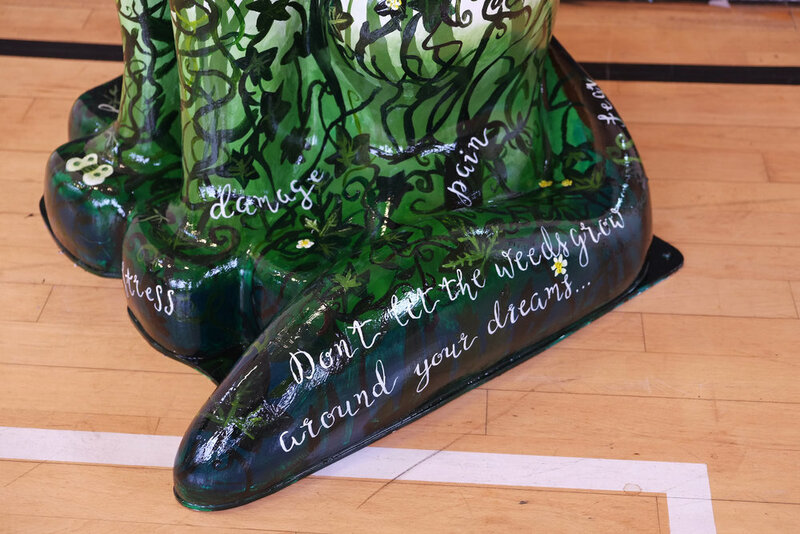 The design also took inspiration from the quote ‘Don’t let the weeds grow around your dreams', which has been written onto the tail of the wolf. This reflects the ideas that some young people have negative influences holding them back, stopping them from being the best they can be. The wolf design has a gradient from light to dark. Weeds wrap around the dark base of the wolf and gradually develop into flowers, growing more as the design moves from bottom to top. 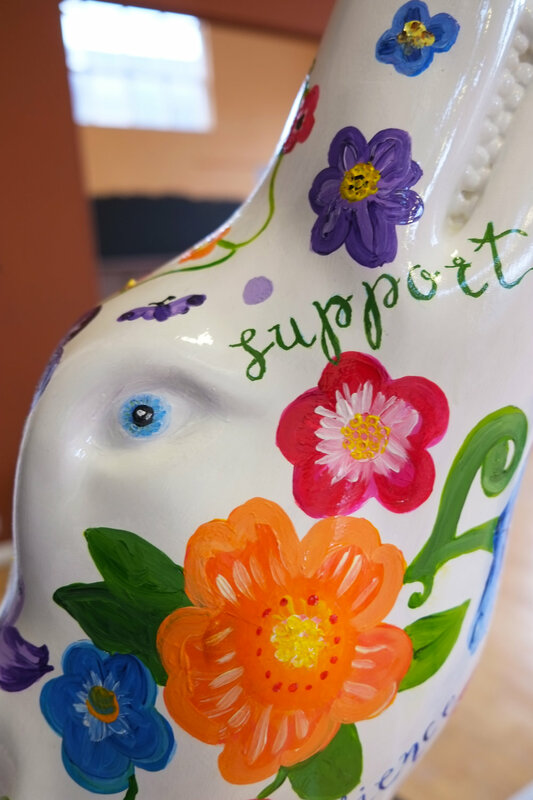 Small elements, including a butterfly and small flowers, can be seen in the bottom dark section of the wolf, symbolising the idea that young people in the most challenging of circumstances are still bright and full of potential, shining despite the darkness that surrounds them. They just need support to work their way to the top. Key words are intertwined over the whole of the wolf’s body. Negative words such as 'anger', 'stress', 'grief' and 'stigma' are at the bottom. 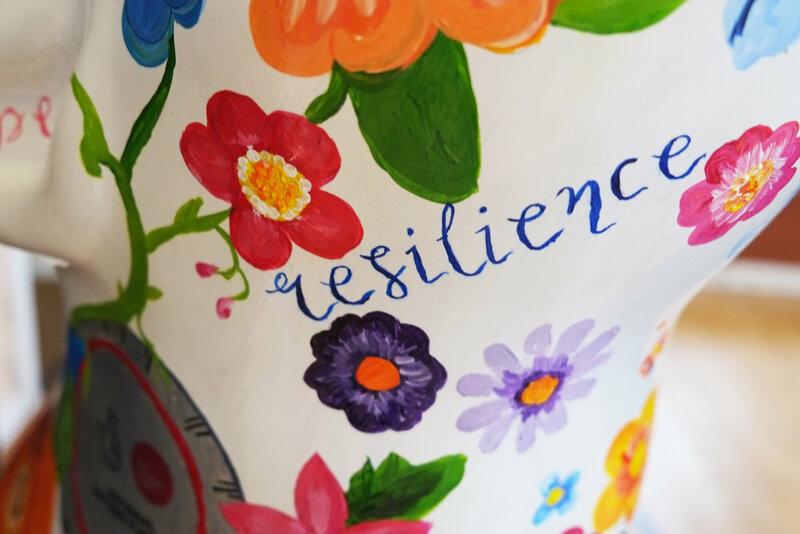 Positive words gradually emerge in the design as you climb towards the top: 'resilience', 'hope', 'determination', 'courage', and, of course, 'hope'. 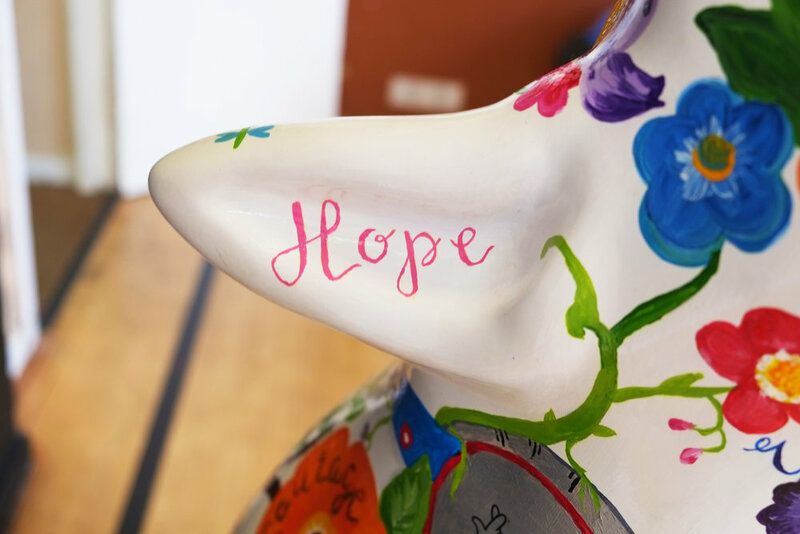 We want Hope the HeadStart Wolf to inspire young people to be resilient and encourage them to not let things in life hold them back from being the best they can be. Here is the the whole creation process in time-lapsed glory! 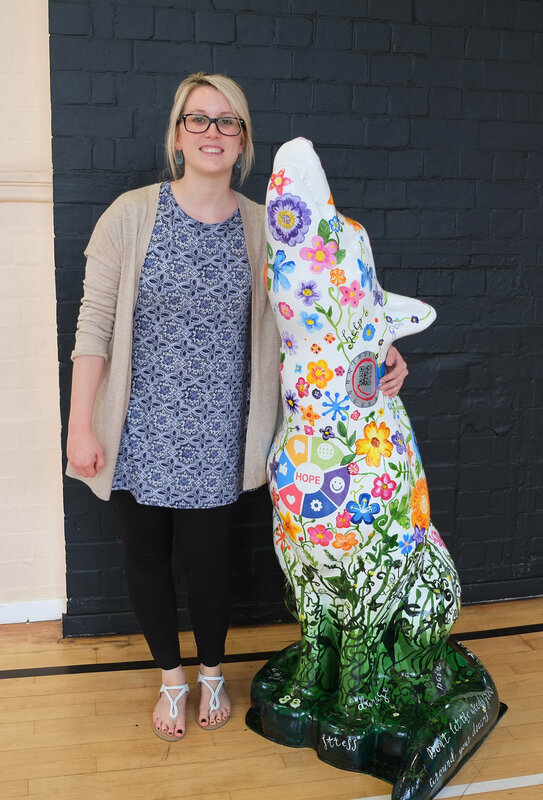 Hope the HeadStart Wolf will be on display in The Wulfrun Centre from the 4th July. 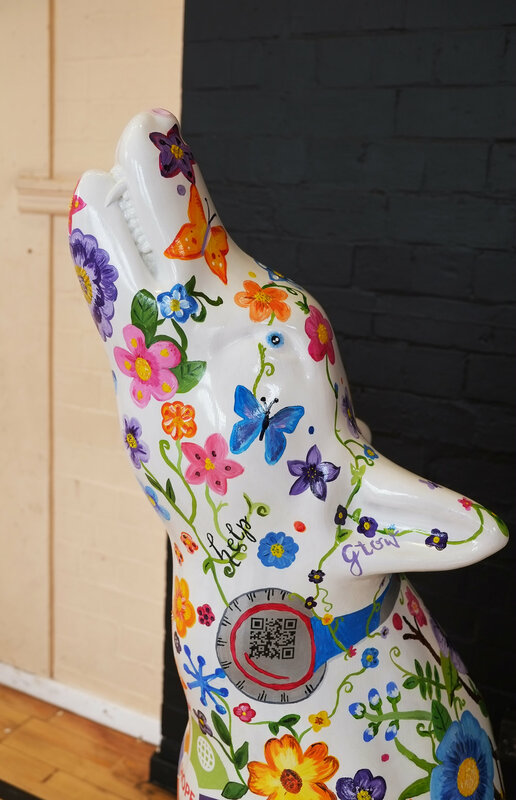 Look out for the other 29 wolves around the city too!